The history of Honda goes all the way back to the early 40s. The company was a result of the efforts of Soichiro Honda, who always had an interest in automobiles and innovations and technologies. Sochiro first worked at a garage, where he tuned cars. In 1937, Sochiro decided to move on and created his own company, the Tokai Seiki, which produced piston rings. The company had an opportunity to supply piston rings to Toyota but due to the poor quality of their products, the contract was lost. So let’s discuss more Honda’s logo, history timeline and their latest models below. Nevertheless, by 1941 Sochiro worked hard and attended engineering school to learn more about Toyota’s quality control processes. A year later, Sochiro was able to deliver mass-production pistons that met Toyota’s standards. The same year, Toyota bought 40% shares of the Tokai Seiki Company. In 1942, the Second World War took place. Soon enough, in 1944, the B-29 incident occurred, destroying Tokai Seiki’s plant. Therefore, since there was nothing left, Sochiro decided to sell the remains of the company to Toyota for which he obtained ¥450,000. Yes, that’s how Honda started out, supplying parts for Toyota. After the money he got from selling the Tokai Seiki company, he started the Honda company. He invested the money in establishing the Honda Technical Research Institute in 1946. The goal of this institute was to develop and build small 2-cycle motorbike engines. In 1947, the company introduced its first product, the A-Type Bicycle Engine. A year later, Sochiro established the Honda Motor Company, Ltd. The company was quite successful and the first US store opened in 1959 in Los Angeles. Three years later, Honda’s automobile business began with the release of its first sports car, the S500 (Picture below) and the light truck, T360. During the 60s, the company was rocking the motorcycle market around the world and with the inception of its automobile business the company became even more famous. In 1967, the company announced its first front-wheel-drive minicar, the N360 that gained a lot of popularity in the Japanese market. In 1968, the N Series of Mini Honda cars produced by the company topped Japanese Sales and a year later the company began production of automobiles in Taiwan. This was Honda’s first overseas production facility. Regardless, the company managed quite well and was the top seller for three years. In 1972, they released their most popular vehicle of all time: the Civic. This mean machine was the first vehicle to comply with the 1970 US Clean Air Act and immediately gained a lot of recognition worldwide. In fact, the Civic is one of Honda’s vehicles that are still extremely popular and still in production, with more than 10 generations produced since. In 1975, the company began production in Indonesia. 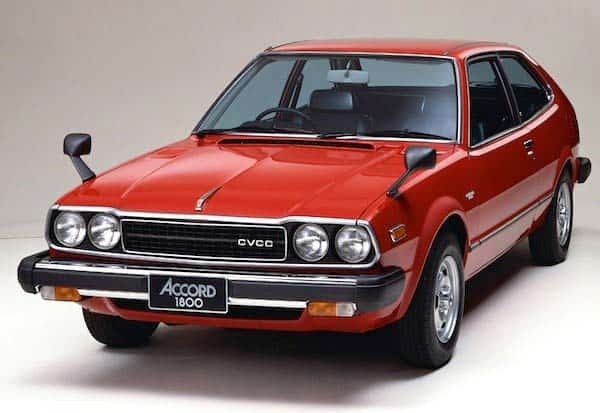 In 1976, Honda produced another extremely successful vehicle, the Accord (picture above). This vehicle proved to be incredibly efficient and reliable and just like the Civic gained a lot of recognition in the Japanese auto industry. Additionally, Honda introduced Honda Life which represented the company’s efforts in competing in the compact car, pickup, and delivery van segment. By 1982, Honda began automobile production in the US, which was a first for a Japanese automobile manufacturer. A few years later, Honda introduced the Acura car brand, which was the first ever Japanese luxury automobile manufacturer. Therefore, the 80s proved to be an incredibly successful period for Honda. After launching the Acura Brand in the US in 1988, Honda’s total production exceeds 15 million units. A year later, Honda Accord became the best-selling car in the US and a new generation of the vehicle was created with exceptional styling cues, a powerful engine, and a variety of options and new features. By 1992, Honda’s worldwide production exceeded 20 million units, and business was booming. In 1995, the worldwide production of Honda Civic exceeded 10 million units alone and other automobiles production exceeds 30 million units. A few years later, Honda introduced the LEV (Low Emission Vehicles) Civic Ferio. The same year, the production of the Honda EV plus started in the US. In 1999, Honda introduced its famous ‘Insight Hybrid’, which was perhaps the first properly functioning hybrid vehicle in the US. By 2000, Honda’s automobile production rates exceeded 10 million in the US and Honda Fit was number-one in annual sales. 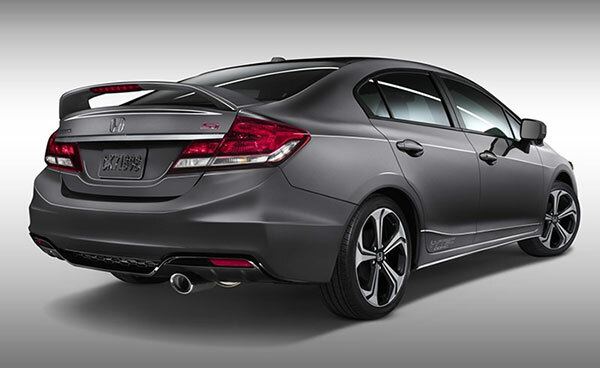 In 2003, Honda was incredibly successful and released new versions of the Civic and Accord, allowing the company to exceed production of 50 million units. Today, Honda is the world’s largest automobile manufacturer of internal combustion engines. Additionally, the company is also the largest motorcycle manufacturer in the world. In addition to selling vehicles, motorcycles, parts, and engines, the company manufactures power generators, personal watercraft, marine engines, and garden equipment. Not to mention, Honda is involved with developing artificial intelligence technology, introducing its ASIMO robot in 2000. Honda has revenue of ¥11.85 trillion and as of 2014, the company has more than 200,000 employees worldwide. Additionally, over a period of 66 years, Honda has been under the leadership of only seven individuals. 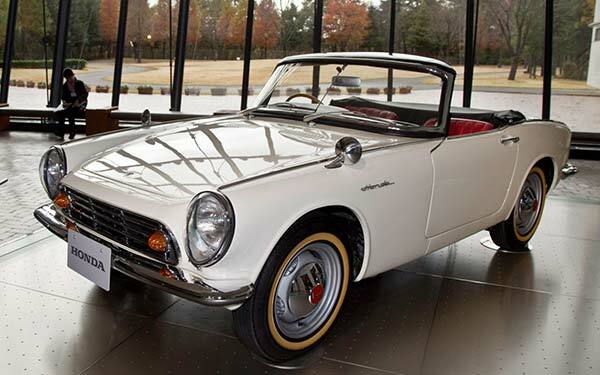 As you can see in the Honda history timeline, the company began manufacturing vehicles years after many other popular Japanese automobile manufacturers. Nevertheless, it still managed to face the tough competition and now stands as one of the best automobile manufacturers in the world.